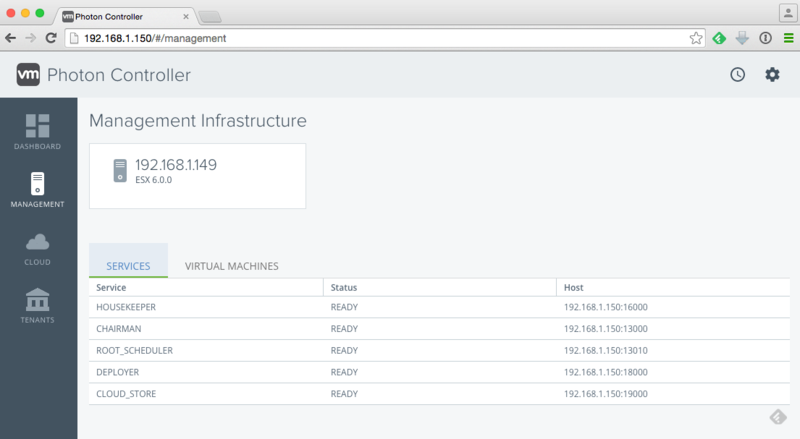 In this final article, we will now take a look at deploying a Docker Swarm Cluster running on top of Photon Controller. A minimal deployment for a Docker Swarm Cluster consists of 3 Virtual Machines: 1 Masters, 1 etcd, 1 Slave. If you only have 16GB of memory on your ESXi host, then you will need override the default VM Flavor used which is outlined in Step 1. If you have more than 16GB of memory, then you can skip Step 1 and move directly to Step 2. ./photon -n flavor create --name cluster-tiny-vm --kind "vm" --cost "vm 1 COUNT,vm.flavor.cluster-other-vm 1 COUNT,vm.cpu 1 COUNT,vm.memory 1 GB,vm.cost 1 COUNT"
Step 6 -We are now ready to spin up our Docker Swarm Cluster by simply running the following command and substituting the network information from your environment. We are going to only deploying a single Swarm Slave (if you have additional resources you can spin up more or you can always re-size the cluster after it has been deployed). Do not forget to override the default VM Flavor used by specifying -v option and providing the name of our VM Flavor which we had created earlier called cluster-tiny-vm. You can just hit enter when prompted for the two zookeeper IP Addresses. Step 7 - The process can take a few minutes and you should see a message like the one shown above which prompts you to run the cluster show command to get more details about the state of the cluster. 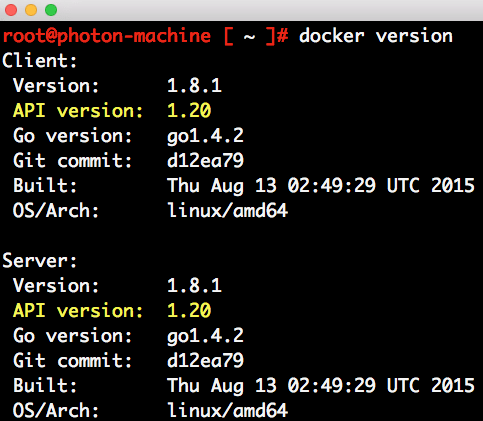 At this point, you have successfully deployed a Docker Swarm Cluster running on Photon Controller. What you will be looking for in this screen is the IP Address of the Master VM which we will need in the next section if you plan to explore Docker Swarm a bit more. To interact with your newly deployed Docker Swarm Cluster, you will need to ensure that you have a Docker client that matches the Docker version running the Docker Swarm Cluster which is currently today 1.20. The easiest way is to deploy PhotonOS 1.0 TP2 using either an ISO or OVA. For those familiar with Docker, you can see how easily it is to interact with the Docker interface that you are familiar with. Underneath the hood, Photon Controller is automatically provisioning the necessary infrastructure needed to run your applications. 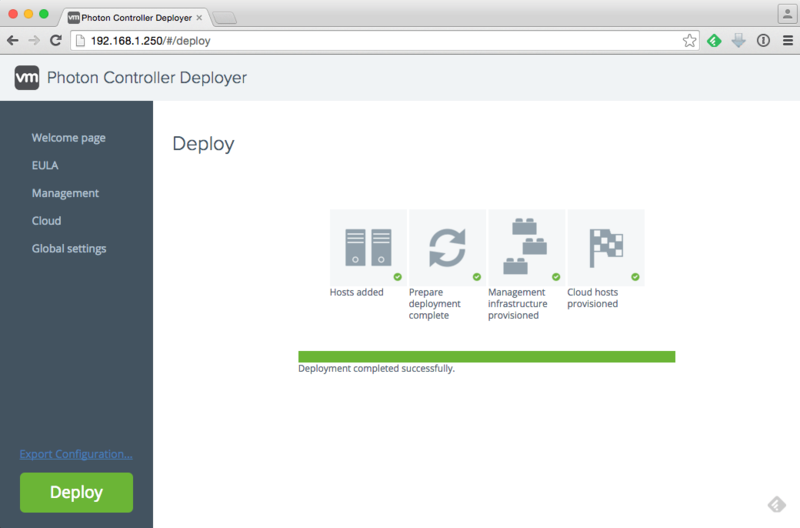 This concludes our series in test driving VMware's Photon Controller. If you have made it this far, I hope you have enjoyed the series and if you have any feedback or feature enhancements on Photon Controller, be sure to file an issue on the Photon Controller Github page. In the previous article, we demonstrated the first Cluster Orchestration solution supported by Photon Controller by deploying a fully functional Kubernetes Cluster using Photon Controller. 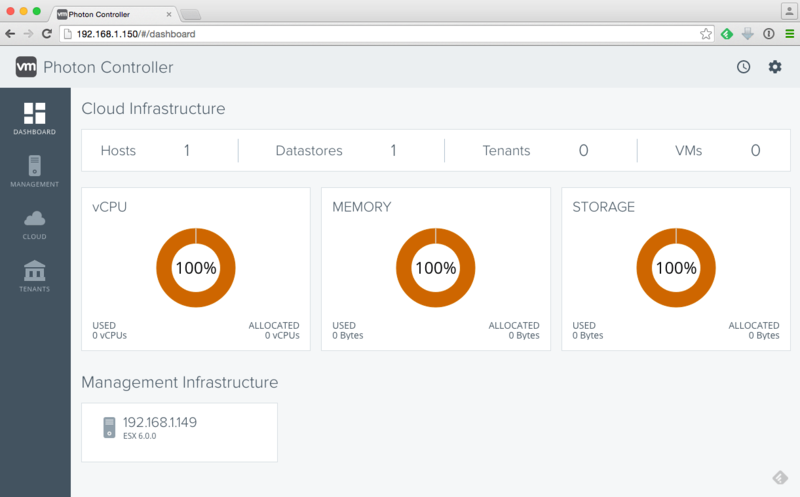 In this article, we will now look at deploying a Mesos Cluster using Photon Controller. The minimal deployment for a Mesos Cluster in Photon Controller consists of 6 Virtual Machines: 3 Masters, 1 Zookeeper, 1 Marathon & 1 Slave. If you only have 16GB of memory on your ESXi host, then you will need to override the default VM Flavor when deploying a Mesos Cluster. If you have more than 16GB of available memory, then you can skip Step 1 and move to Step 2 directly. Step 6 - We are now ready to spin up our Mesos Cluster by simply running the following command and substituting the network information from your environment. We are going to only deploying a single Mesos Slave (if you have additional resources you can spin up more or you can always re-size the cluster after it has been deployed). Do not forget to override the default VM Flavor used by specifying -v option and providing the name of our VM Flavor which we had created earlier called cluster-tiny-vm. You can just hit enter when prompted for the two zookeeper IP Addresses. At this point, you have now successfully deployed a Mesos cluster running on Photon Controller. What you will be looking for in this screen is the IP Address of the Marathon VM which is the management interface to Mesos. We will need this IP Address in the next section if you plan to explore Mesos a bit more. Using the IP Address obtained from the previous step, you can now open a web browser and enter the following: http://[MARATHON-IP]:8080 which should launch the Marathon UI as shown in the screenshot below. If you wish to deploy a simple application using Marathon, you can follow the workflow here. 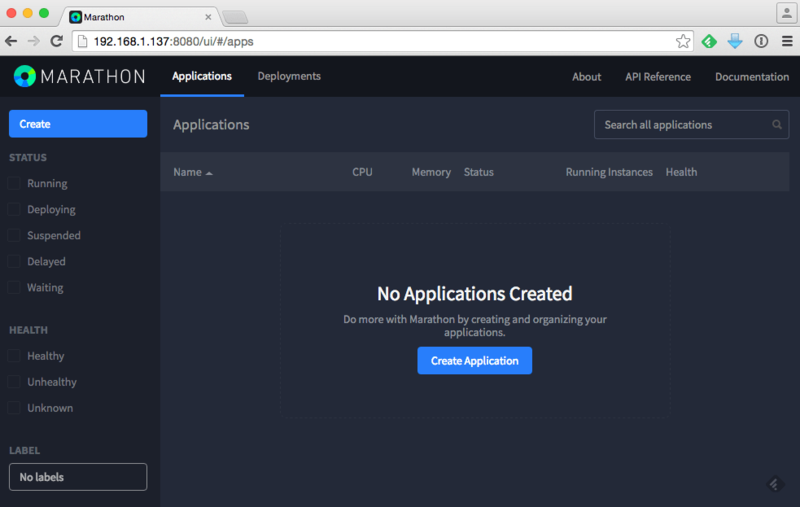 Since we deployed Mesos using a tiny VM Flavor, we would not be able to exercise the final step of deploying an application running on Mesos. If you have more resources, I definitely recommend you give the workflow a try. In our last and final article of the series, we will be covering the last Cluster Orchestration supported on Photon Controller which is Docker Swarm. When installing Photon Controller, the resource configuration of the Management VM is sized dynamically as mentioned here based on the total available CPU, Memory and Storage on the physical ESXi host that it is being provisioned to. This is generally not a problem when deploying Photon Controller in Production with larger hosts but if you are trying to play with it in a home lab or a resource constrained environment, then this can be a challenge. Currently, the minimal requirement to play with Photon Controller is a single physical or Nested ESXi VM that is configured with at least 4vCPU, 16GB of memory and 50GB of storage. The biggest constraint for most home labs is usually on memory. As an example, using the configuration above, the default size used for the Photon Controller Management VM is 2vCPU and 4GB of memory which is quite hefty for such a small environment. It potentially could get worse with slightly larger hosts and ultimately this impacts the amount of workload you can run on the ESXi host, especially if you only have one. In talking to one of the Engineers on the Photon Controller team, I learned about a neat little capability that is currently only available in the Photon CLI which allows you to override the default CPU, Memory and Storage settings for the Photon Controller Management VM. The following three variables can be added to a deployment configuration YAML file which will override the default behavior. UPDATE (06/02/16) - In v0.9 release of Photon Controller, the MANAGMENT_VM_MEMORY_GB_OVERWRITE variable has been renamed to MANAGEMENT_VM_MEMORY_MB_OVERWRITE. The rest should be the same. Note: One thing that I found while testing out this capability is that you MUST specify all three variables regardless if wish to override one or more resources. If you do not, you will see a strange 500 error code when running the CLI. I assume this is probably a bug and have already reported this to the Engineering team. Below are the recommended instructions if you plan to override the default configuration for the Photon Controller Management VM. Step 1 - Open a browser to the IP Address of your Photon Controller Installer VM and go through the wizard as you normally would, but DO NOT click on the Deploy button once you are done. Instead, click on the "Export Configuration" option and save your configuration to your desktop. You can then close the Photon Controller Installer UI window as we will not be using the UI to deploy. Step 2 - Open the Photon Controller deployment configuration YAML file that you had just saved in the previous step using a text editor of your choice. There will be two modifications that we will need to make. The first is by adding the following three variables under the "metadata" section towards the top and replacing the values with the ones you wish to use. I recommend using 2vCPU/2GB of memory. For storage, there seems to be a bug in which the override does not work, but you STILL MUST specify it in the configuration file else the deployment will fail. Go ahead and leave it as the default 80. At this point, we are done modifying our YAML configuration file and we can save our changes and get ready to deploy. Once the deployment has started, you will be provided with a progress bar. If everything is successful, you should be able to login to your ESXi host using either the ESXi Embedded Host Client or vSphere C# Client and you should see that your Photon Controller Management VM has been deployed with the overrides you had specified earlier. If you have been following the series thus far, we have covered installing Photon Controller in Part 1 and then we learned how to create our first virtual machine using Photon Controller in Part 2. Next up, we will demonstrate how easy it is to stand up the three different Cluster Orchestration solutions that are supported on top of Photon Controller, starting with Kubernetes. Once the Cluster Orchestration solution has been setup, you can then deploy your application like you normally would through the Cluster Orchestration and behind the scenes, Photon Controller will automatically provision the necessary infrastructure to run your given application without having to know anything about the underlying resources. If you recall from our last article, there are several default VM Flavors that are included in the Photon Controller installation. The ones that are named cluster-* are VM Flavors used for deploying the Cluster Orchestration virtual machines that have been configured to support high scale and throughput (up to 4vCPU and 8GB of memory). If you are testing this in a lab environment where you might be constrained on memory resources for your ESXi host (16GB of memory), then you actually have a few options. The first option is to create a new VM Flavor with a smaller configuration (e.g. 1vCPU/2GB memory) and then override the default VM Flavor when deploying the Cluster Orchestration. The second option which I learned from talking to Kris Thieler was that you can actually re-define the default cluster-* VM Flavors to fit your environment needs which he has documented here. To simplify our deployment, we will actually use Option 1 on just creating a new VM Flavor that we will use to override the default VM Flavor. If you have more than 16GB of memory, then you can skip Step 2. Step 1 - Download the Kubernetes VMDK from here and the Kubectl binary from here. 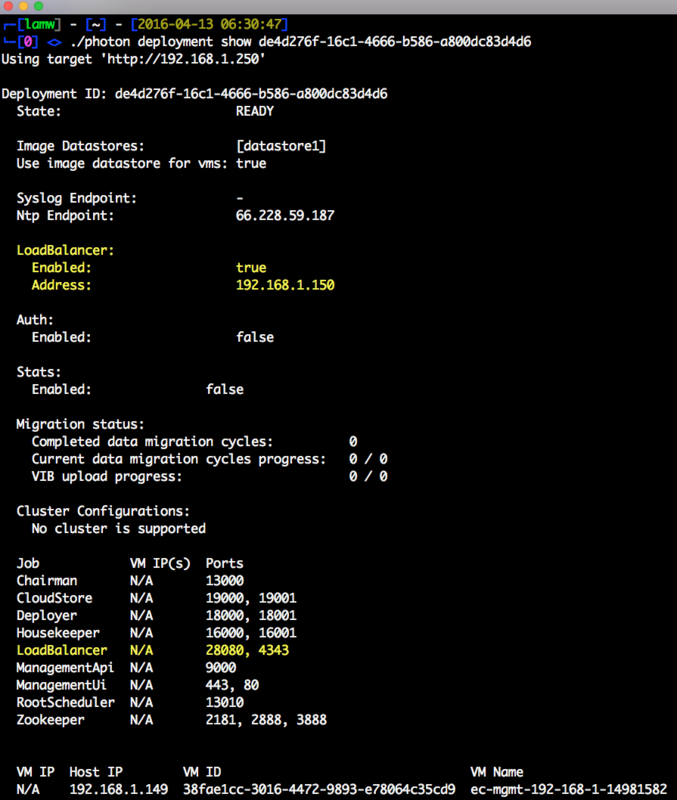 As you can see from the screenshot above, there is a Cluster Configuration section which provides a list of Cluster Orchestration solutions that have been enabled as well as their respective image. Step 7 - We are now ready to spin up our Kubernetes (K8) Cluster by simply running the following command and substituting the network information from your environment. We are also going to only deploying a single K8 Slave (if you have additional resources you can spin up more or you can always re-size the cluster after it has been deployed) and lastly, we will override the default VM Flavor used by specifying -v option and providing the name of our VM Flavor called cluster-tiny-vm. You can just hit enter when prompted for the two etcd IP Addresses, the assumption is that you have DHCP running and those will automatically obtain an address. Step 8 - The process can take a few minutes and you should see a message like the one shown above which prompts you to run the cluster show command to get more details about the state of the cluster. At this point, you have now successfully deployed a fully functional K8 Cluster using Photon Controller with just a single command. We can now take explore our K8 setup a bit by using the kubectl CLI that you had downloaded earlier. For more information on how to interact with K8 Cluster using kubectl command, be sure to check out the official K8 documentation here. You should see a tomcat-server-* entry and the status should say "Image: tomcat is not ready on the node". You can give it a few seconds and then re-run the command until it is showing "Running" as the status which means our application has been successfully deployed by the K8 Cluster. 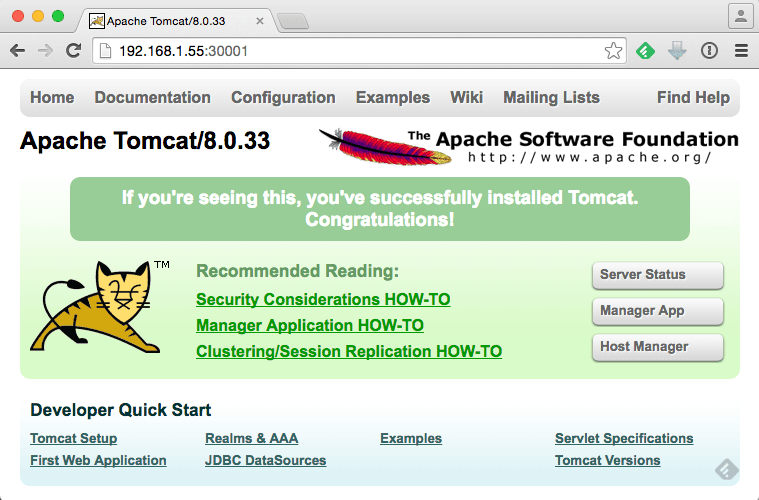 We can now open a browser to the IP Address of our K8 Master VM's IP, which in my environment was 192.168.1.55 and specify port 30001 which was defined in the configuration file of Tomcat application and we should see that we now have Tomcat running. Hopefully this gave you a quick taste on how easy it is to setup a fully functional K8 Cluster using Photon Controller. In the next article, we will take a look at deploying a Mesos Cluster using Photon Controller, so stay tuned! Several weeks back, the Cloud Native Apps team at VMware released a significant update to their Photon Controller platform with their v0.8 release focused on simplified management and support for Production scale. For those of you who are not familiar with Photon Controller, it is an infrastructure stack purposefully-built for cloud-native applications. It is a highly distributed and scale-out control plane designed from the ground up to support multi-tenant deployments that require elasticity, high churn and self-healing. If you would like to get more details about the v0.8 release, be sure to check out this blog post here by James Zabala, Product Manager in the Cloud Native Apps team. One of the most visible enhancement to the v0.8 release is the introduction of a UI for installing and managing Photon Controller. Previously, the only way to deploy Photon Controller was using an already pre-configured appliance that required customers to have a particular network configuration for their infrastructure. Obviously, this was not ideal and it made it challenging for customers to evaluate Photon Controller in their own specific environment. 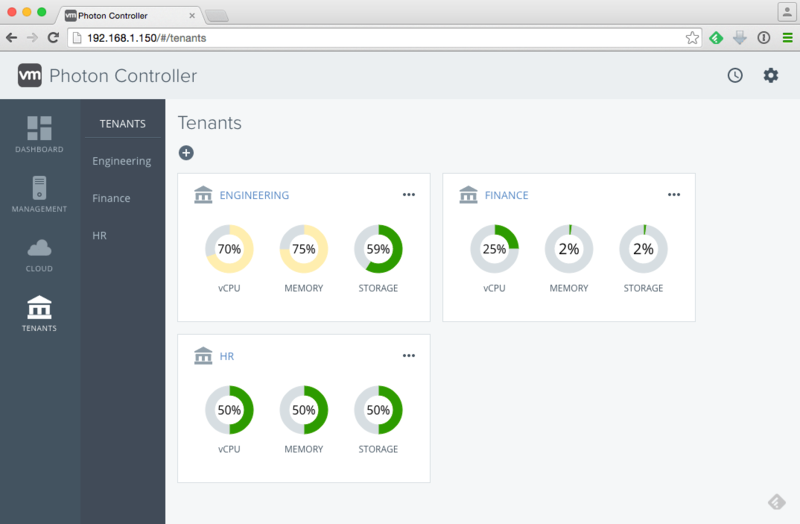 With this new update, customers can now easily deploy Photon Controller into their own unique environment using a UI that is provided by a Virtual Appliance (OVA). This Virtual Appliance is only used for the initial deployment of Photon Controller and is no longer needed afterwards. 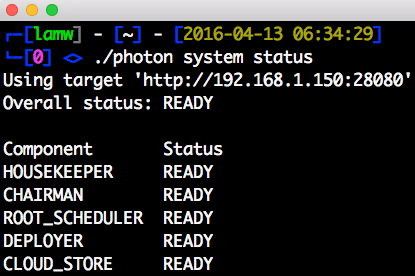 Once Photon Controller is up and running, you can manage it using either the CLI or the new management UI. In this first article, I will take you through the steps of deploying Photon Controller onto an already provisioned ESXi host. We have a quick look at the Photon CLI and how you can interact with Photon Controller and lastly, we will also take a look at the new Photon Controller Management UI. In future articles, we will be looking at deploying our first VM using Photon Controller as well as run through the different cluster orchestration solutions that Photon Controller integrates with. To start using Photon Controller, you will need at least one physical ESXi 6.x host (4vCPU / 16GB memory / 50GB storage) with some basic networking capabilities which you can read more about here. Obviously, if you really want to see what Photon Controller in action and what it can do, having additional hosts will definitely help. If you do not have a dedicated ESXi host for use with Photon Controller, the next best option is to leverage Nested ESXi. 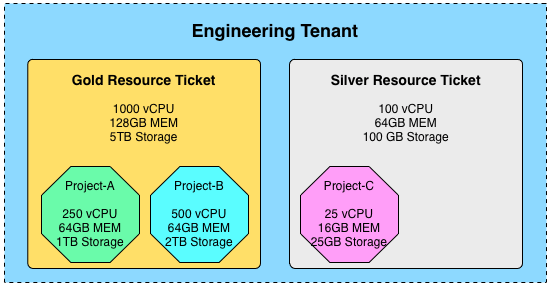 The more resources you can allocate to the Nested ESXi VM, the better your experience will be in addition to the number of cluster orchestration workflows you will be able to exercise. If you have access to a physical ESXi host, you can skip steps 2 through 4. For this exercise, I will be using my Apple Mac Mini which is running the latest version of ESXi 6.0 Update 2 and has 16GB of available memory and 100+GB of local storage. Step 1 - Download both the Photon Controller Installer OVA as well as the Photon CLI for your OS platform from here. 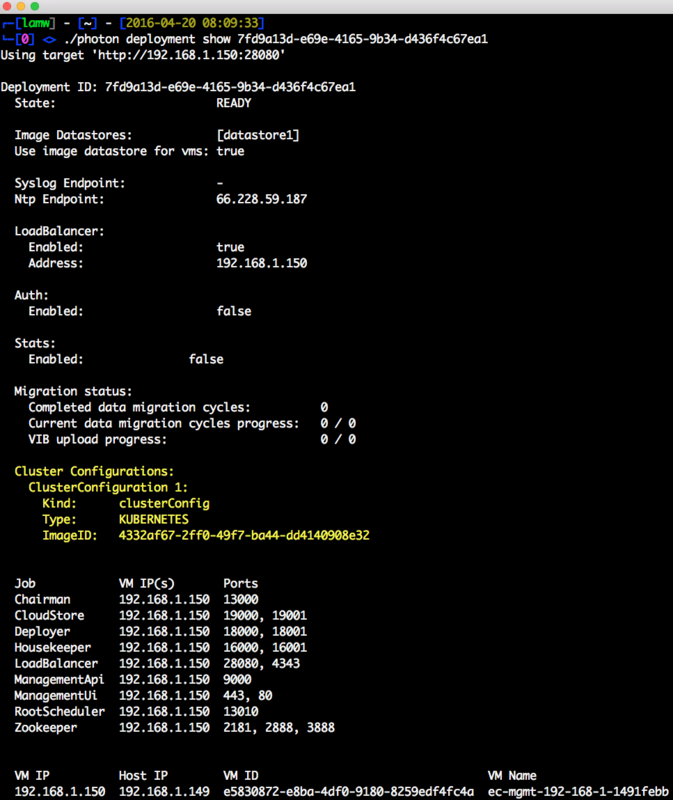 Step 2 - Deploy the Photon Controller Installer OVA using either the ovftool CLI directly against an existing ESXi host or using the vSphere Web/C# Client connected to a vCenter Server. For more detailed instructions, please have a look at this blog article here. 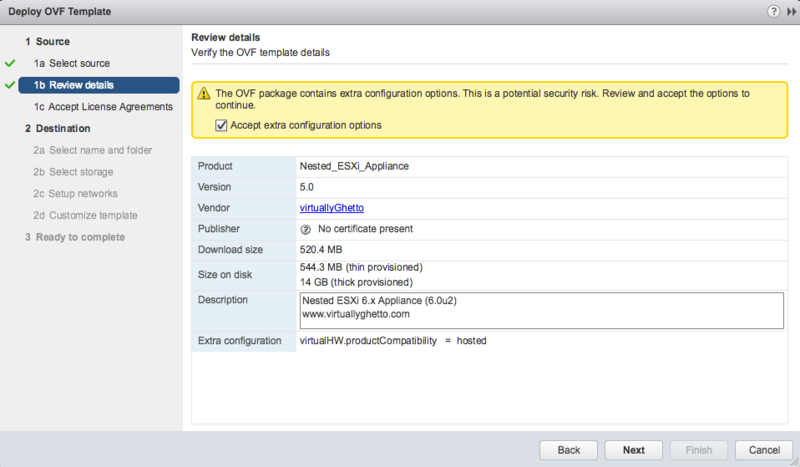 Step 3 (optional) - Download the Nested ESXi 6.x Virtual Appliance which you can find here which also includes instructions on how to deploy the Nested ESXi VA. Make sure the version of the Nested ESXi 6.x VA version is v5.0 as earlier versions will not work. You can refer to the screenshot in the next step if you are wondering where to look. Make sure you enable SSH (currently required for Photon Controller) and enable local datastore unless you have shared storage to connect to the Nested ESXi VM (VSAN is currently not supported with Photon Controller at this time). If you only have an ESXi host, then you can deploy using the ovftool CLI which can be downloaded here and follow the instructions found here. Note: If you have more than one Nested ESXi VM, you will need to setup shared storage else you may run into issues when images are being replicated across the hosts. The other added benefit is that you are not wasting local storage just to replicate the same images over and over. At this point, you should have the Photon Controller Installer VM running and at least one physical or Nested ESXi powered on and ready to go. UPDATE (04/25/16): Please have a look at this article on How to override the default CPU/Memory when deploying Photon Controller Management VM? which can be very helpful for resource constrained environments. Step 6 - Next, open a browser to the IP Address of your Photon Controller Installer VM whether that was an IP Address you had specified or on that it was automatically obtained via DHCP. You should be taken to the installer screen as seen in the screenshot below. Step 7 - Click on the "Get Started" button and then accept the EULA. Step 8 - The next section is "Management" where you will define the ESXi host(s) to run the Photon Controller Management VMs. If you only have one ESXi host, then you will also want to check the "Also use as Cloud Host" box in which case the ESXi host will be used to run both the Photon Controller management VM as well as the workload VMs. In a real Production environment, you will most likely want to separate these out as a best practice to not mix your management plane with your compute workload. The Host IP will be the IP Address (yes, you will have to use IP Address as hostnames are not currently supported) of your first ESXi host. Following that, you will then need to provide credentials to the ESXi host as well as the datastore and networking configurations in which the Photon Controller VM will be deployed to. Note: One important thing to note is that the installer will dynamically size the Photon Controller Management VM based on the available resources of the ESXi host. Simply speaking, it will consume as much available resources (taking into considerations powered off VMs if they exists) depending if it is purely a "Management" and/or "Cloud" host. Step 9 - The next section is "Cloud" where you will specify additional ESXi host(s) that will run your workload. Since we only have a single host, we already accounted for this in previous step and will skip this. If you do have additional hosts, you can specify either individual IPs or a range of IPs. If you have hosts with different credentials, you can add addition logical groups by simply clicking into the "Add host group" icon. Step 10 - The last page is the "Global Settings" where you have the ability to configure some of the advanced options. 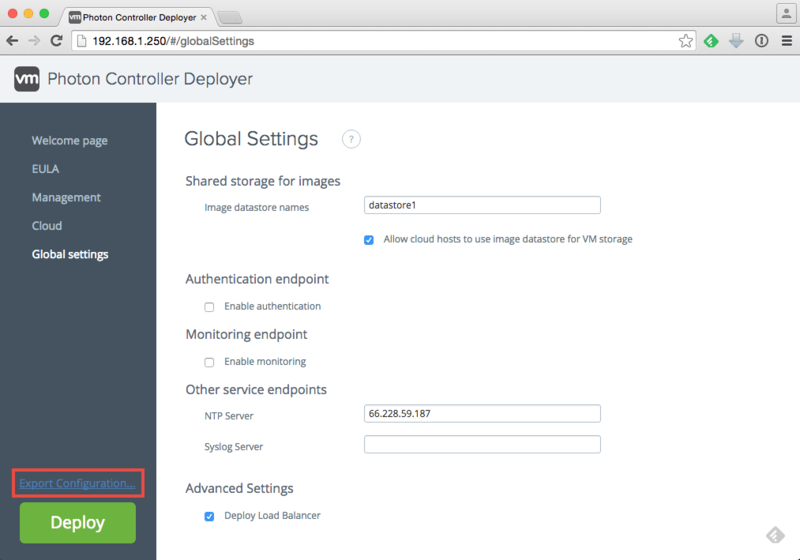 For a minimal setup, you only need to specify the share storage for the images as well as deploying a load balancer which is part of the installer itself. If you only have a single host, then you can specify the name of your datastore or the shared datastore in which you have already mounted on your ESXi host. In my environment, the datastore name is datastore1. If you have multiple ESXi hosts that *only* have local datastores, make sure they are uniquely named as there is a known bug that different hosts can not have the same datastore name. In this case, you would list all the datastore names in the box (e.g. datastore1, datastore2). Make sure to also check the box "Allow cloud hosts to use image datastore for VM Storage" if you wish to allow the VMs to also be deployed to these datastores. All other settings are all optional including deploying the Lightwave identity service, you can refer to the documentation for more details. 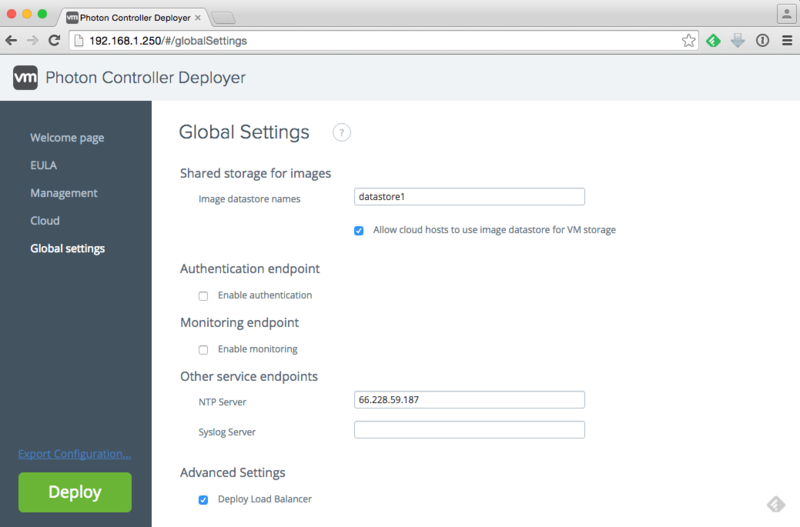 Step 11 - Finally, before you click on the "Deploy" button, I recommend that you export your current configurations. This allows you to easily adjust the configurations without having to re-enter it into the UI or if you get a failure so you can easily re-try. This a very handy feature and hope to see this in other VMware based installers. Once you are ready, go ahead and click on the "Deploy" button. Depending on environment and resources, the deployment can take anywhere from 5-10 minutes. The installer will discover your ESXi hosts and the resources you had specified earlier, it will then install an agent on each of the ESXi hosts which will allow Photon Controller to communicate with the hosts, deploy the Photon Controller Management VM and then finally upload the necessary images from the Photon Controller Installer VM over to the Image Datastores. If everything was successful, you should see the success screen in the screenshot above. Note: If you run into any deployment issues, the most common issue is most like resource related. If you did not correctly size the Nested ESXi VM with the minimal configuration, you will definitely run into issues. If you do run into this situation, go ahead and re-size your Nested ESXi VMs and then re-initialize the Photon Controller Installer VM by jumping to the bottom of this article in the Troubleshooting section where I document the process. At this point, we will now switch over to the Photon CLI that you had downloaded earlier to interact with the Installer VM to get some information about our deployed Photon Controller instance. 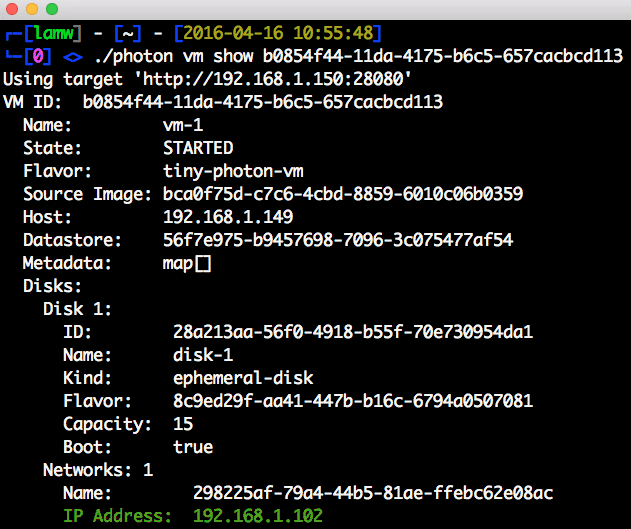 The Photon CLI uses the Photon REST API, so you could also interact with the system using the API rather than the CLI. We will also quickly cover the REST API in this section in case you might be interested in using it. As you can see from the output, we get a nice summary of the Photon Controller instance that we just deployed. What you will be looking for here is that the State property shows "Ready" which means we are now ready to start using the Photon Controller platform. From here, we can also see the IP Address of the load balancer that was setup for us within the Photon Controller Management VM which in this example is 192.168.1.150. Step 4 - To interact with our Photon Controller instance, we will need to point the Photon CLI to the IP Address of the load balancer and specify port 28080. If you had enabled authentication using the Lightwave identity service, you would then use port 443 instead. Note: I had noticed that the ESXi host's root password was being displayed in this output. I have already reported this internally and this will be removed in a future update as it should not be displaying the password, especially in plaintext. Hopefully this gives you a quick primer on how the Photon CLI works and how you can easily interact with a given Photon Controller deployment. If you would like more details on Photon CLI, be sure to check out the official documentation here. 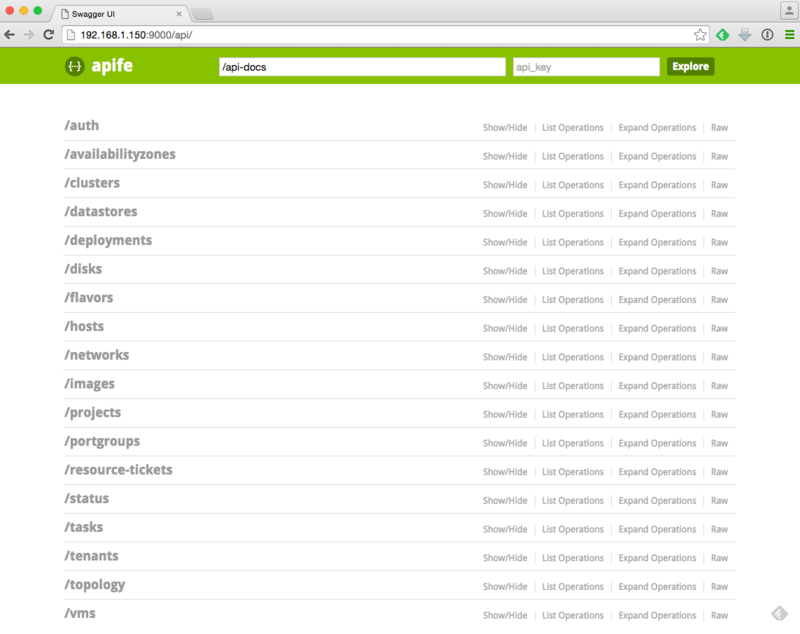 The Photon Controller also provides a REST API interface which you can explore by using the built in Swagger interface. 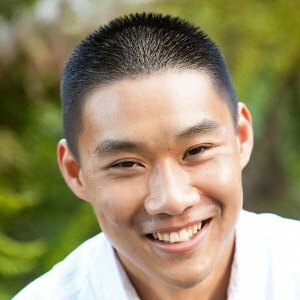 You can connect to it by opening a browser to the following address: https://[photon-controller-load-balancer]:9000/api For those of you who have not used Swagger before, its a tool that allows you to easily test drive the underlying API as well as providing interactive documentation on the specific APIs that are available. This is a great way to learn about the Photon Controller API and allows you to even try it out without having to write a single line of code. Saving the best for the last, we will now take a look at the new Photon Controller Management UI. 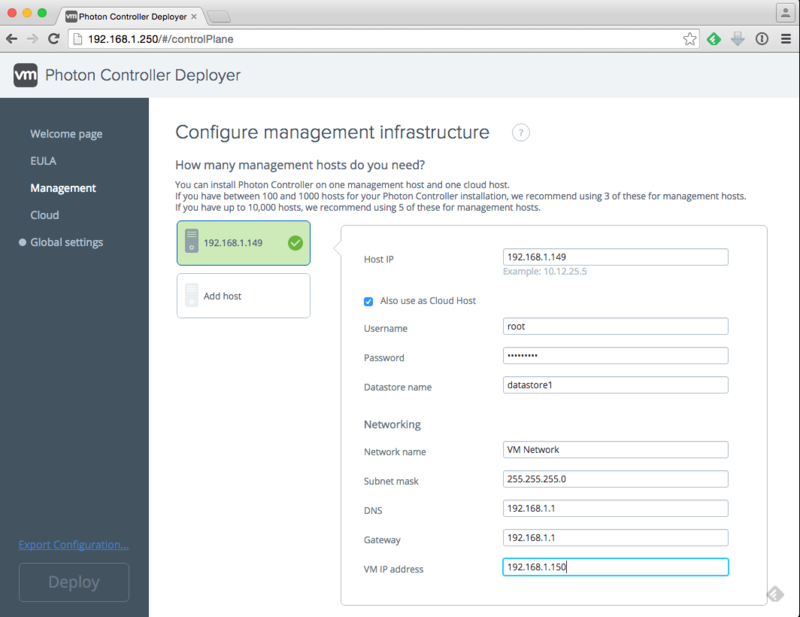 To access the UI, you just need to open a browser to the IP Address of the Photon Controller load balancer. In this example, it is 192.168.1.150 and once loaded, you should be taken to the main dashboard. If you recall earlier in the Photon CLI example, we had to run through several commands to get the overall system status as well as list of ESXi hosts participating in either a "Management" or "Cloud" host role. With the UI, this is literally a single click! There are other objects within the UI that you may notice while exploring but we will save that for the next article in which we will walk through the process provisioning your first Virtual Machine using Photon Controller. 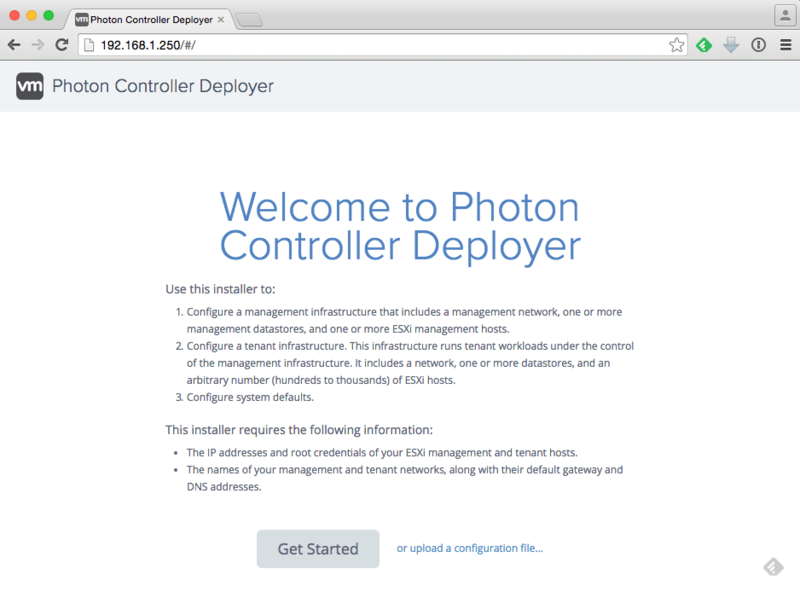 Here are some useful things I learned from the Photon Controller team while troubleshooting some of my initial deployments.